We are a full service mobile truck and trailer repair shop serving the Dallas-Fort Worth area. ROADSIDE SERVICES ONLY available 24/7. We pride ourselves in customer service, roadside truck services & we always work hard to ensure that we provide the best customer experience. In need of mobile truck/trailer repair today? WE WILL COME TO YOU! Our staff has the skill to handle any repair or service that truck needs. Do you have a roadside truck emergency? Call us today - WE COME TO YOU! 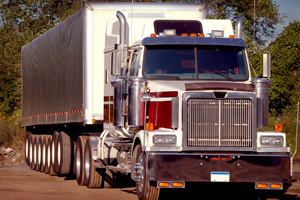 A & W Services Inc. is a full service mobile truck and trailer repair shop serving the Dallas-Fort Worth area. Our Roadside Services are available 24 hours a day, 7 days a week. We work to save you time and money since there’s no need to tow! We specialize in everything from jump starts and fuel replenishing to mobile welding, transmission repair, brakes and more. Call us at 800-641-9331 for our 24/7 roadside services. Here at A & W Services Inc., we are your truck’s one stop shop. Let us handle your next fleet repair or maintenance, federal inspection, welding project, and much more. We are Landstar Vendor approved and have a proven track record of excellent customer service to the Dallas-Fort Worth community. 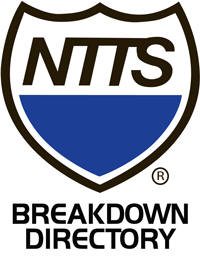 We are listed in the NTTS Breakdown Directory. We’re committed to providing high-quality services at fair prices. At A & W Services Inc., we take pride in hiring only trustworthy, knowledgeable technicians and staff that mirror our company's philosophy. We have the experience and the equipment to get you back on the road, safely, quickly and at a price you can afford. We specialize in everything from jump starts and fuel replenishing to mobile welding, transmission repair, brakes and more.